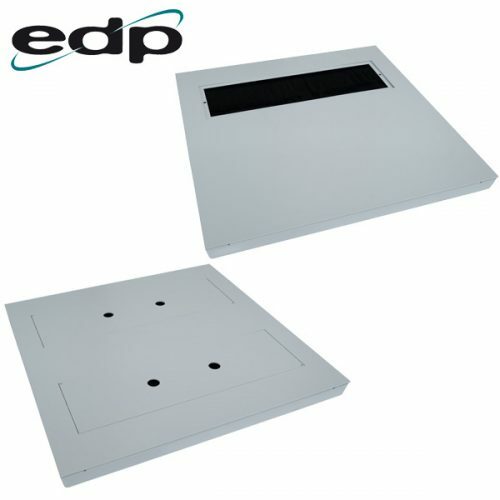 EDP Europe offer replacement floor tiles which have openings already in them that are sealed with brush strip grommets. These replacement floor tiles provide greater flexibility and efficiency, enabling data centre managers to speed up cabinet deployments, whilst optimising cooling performance. They provide an alternative to the standard process of cutting openings into standard tiles and then sealing them with floor grommets. EDP Europe’s Raised Floor Tile with Brush Strip Grommets provides two openings which can be either the same size size or can be adjusted so that one opening is larger than the other. The tile is also height adjustable to accommodate different floor heights. The Heavy Duty Brushed Floor Tiles are robust, heavy duty tiles supplied with either a single or double cable entry. They are also supplied with safety plates to cover the cable entry when it is not being used. Managing airflow at raised floor, rack, row and room levels, as part of the 4R’s of airflow management, will help enable optimisation of the cooling system.